This post is the fifth in a series summarizing guidance for how to calculate key metrics for startups. This series focuses on the metrics that are the most critical for entrepreneurs, angel investors and venture capitalists. These critical Key Performance Indicators for startups are often misunderstood. This definitive guide to computing key startup metrics is intended to clear the mist. This is the final post in the definitive guide to startup KPI’s. As an entrepreneur and angel investor, I’ve learned that there are certain financial terms and metrics that investors and entrepreneurs are expected to know. I’ve written previously about the startup metrics every entrepreneur should know by heart, but I’ve learned that many people are unsure of how to actually calculate these metrics. Many entrepreneurs and investors are not natural-born mathletes, and they don’t remember every detail from college accounting classes. Like myself, many are scared to admit that. Candidly, I went years without fully understanding how to calculate some of the metrics that “everyone” seemed to know. This post is intended to ensure that you won’t be in that situation. The following are a few of the most commonly used startup metrics. It’s important to note that most of these terms are not official accounting terms. As such, there isn’t an official standard of how to calculate them. I’ve compiled this guide based on my experience working with thousands of entrepreneurs and angel investors. I’ve also received help from Ascent CFO Solutions. MRR is an acronym for Monthly Recurring Revenue. MRR is income that a company can reliably anticipate every 30 days. Revenue from one-time purchases billed at the time of purchase is not included in MRR. MRR is only applicable to companies that provide services to their customers through an ongoing contractual relationship. This includes SaaS (Software as a Service) companies and any other subscription-based services, including gym memberships and box-of-the-month clubs. This also includes service providers offering multi-month retainers such as marketing, law and accounting firms. Monthly Recurring Revenue can be calculated by using the consistent monthly revenue generated by each customer or by multiplying the total number of paying customers by the average amount all of those customers are paying each month (known as Average Revenue per User, or ARPU). Read my previous post, MRR – The Definition and Formula for Monthly Recurring Revenue, for a more detailed explanation. Repurchase Rate measures customer loyalty and is most commonly used in businesses that do not have a subscription-based business model, such as e-commerce and consumer products companies. Repurchase Rate typically is calculated by dividing the number of customers who made at least two purchases within a period by the total number of customers within that same period. However, it is sometimes calculated with a slightly more complicated formula that considers the number of times each customer makes a repeat purchase. For this Repurchase Rate formula and for more details, read my previous post: Repurchase Rate: The MRR of Non-SaaS Startups. Churn Rate is a metric for measuring retention, most frequently referring to customer retention. As a customer retention metric, it is like MRR in that it is only applicable to companies that provide services to their customers through an ongoing contractual relationship. There are two different types of customer-related churn: Customer Churn and Revenue Churn. For further details, read my previous post: Churn: The Churn Rate Formula and Definition. Cost of Goods Sold (COGS) includes any direct costs associated with the production of the products sold by a company. For companies selling physical products, COGS includes the cost of raw materials, including freight or shipping charges, the cost of storing raw materials and the finished products the business sells, direct labor costs for workers who produce the products, factory overhead expenses, and depreciation. Cost of Goods Sold for companies that do not sell a physical product (e.g., a SaaS business) include costs that are incurred in the delivery of the product, such as costs to run the platform (e.g., hosting costs), support personnel and customer on-boarding costs. You can read more on what to include in SaaS Cost of Goods Sold in this article. One of our advisors, Dan DeGolier, founder of Ascent CFO Solutions, likes to call this COS (“Cost of Sales”) rather than COGS (“Cost of Goods Sold”), since technically there are no “Goods” involved. Determining what to include in Cost of Goods Sold can be fairly complicated, so I strongly suggest consulting a financial professional before calculating this metric. Gross Profit is a company’s total revenue minus the Cost of Goods Sold (COGS). Gross Margin is the difference between revenue and Cost of Goods Sold (COGS), divided by revenue, and expressed as a percentage. It is essentially the same metric as Gross Profit, but it expresses the variance between revenue and Costs of Goods Sold rather than the amount of profit earned. The Burn Rate is the speed at which a company’s cash balance is declining on a monthly basis. It is reported as a dollar amount that typically is a positive number. If the company is earning more than it is spending, the company’s Burn Rate will be a negative number. However, Burn Rate typically is used only when a company’s cash is declining each month (e.g., in venture-capital-backed businesses). This metric can be calculated as Net Burn Rate or Gross Burn Rate. From my experience, investors and entrepreneurs are typically referring to Net Burn Rate when they use the Burn Rate metric. For the Net and Gross Burn Rate formulas and further explanation, I recommend reading this post on Burn Rate by venture capitalist Fred Wilson. Customer Acquisition Cost (CAC) can be calculated by dividing the sales and marketing costs within a period by the number of customers obtained during that same period. Common sales and marketing costs include paid advertising, website design/hosting/maintenance costs, salaries for sales and marketing staff (or a portion of salaries for multi-purpose employees), fees paid to sales- and marketing-related contractors, travel expenses for sales- and marketing-related trips, event promotional items and other event-related costs, marketing collateral, CRM and marketing automation software licenses, sponsorships, and gifts to customers. Costs incurred for retaining and upselling existing customers, rather than acquiring new customers, should not be included. I recommend consulting a financial professional to determine what to include when computing sales and marketing costs. Lifetime Value (LTV) is also commonly referred to as Customer Lifetime Value (CLV or often CLTV) or Lifetime Customer Value (LCV). This metric is calculated by multiplying the average value of a sale by the average number of repeat transactions over the average retention period of a customer. As illustrated in this Entrepreneur Magazine article, “How to Calculate the Lifetime Value of a Customer,” an easy example would be the Lifetime Value of a gym member who spends $20 every month for 3 years. The value of that customer would be $20 X 12 months X 3 years = A Lifetime Value (LTV) of $720. For businesses with recurring revenue, a more accurate picture of Lifetime Value can be calculated by including the Gross Margin and Churn Rate in the equation. This article offers detailed instructions on how to do that. Capital Raised to Date refers to the amount of money a company raises to finance its operations. Revenue from company operations should not be included in this metric. 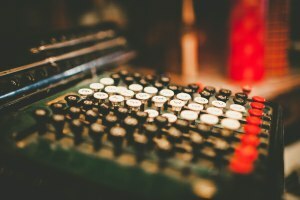 Because I’ve learned that entrepreneurs and investors often calculate Capital Raised to Date differently, I have provided a guideline in my previous article: Capital Raised to Date? How Investors Should Ask and Entrepreneurs Should Answer This Question. As I mentioned, these terms are not official accounting terms, nor is there an official standard of how to calculate them. If you think any of these metrics should be calculated differently, please comment.